The June 2016 issue of the G.I. Joe Collector’s Club magazine is hitting member mailboxes and with it comes a better look at the forthcoming G.I. Joe vs. Transformers set Ninja Force Scarlett. So, how’s Scarlett looking? To the eyes of this Joe fan, pretty good! I see the Renegades Scarlett head and what appears to be the upper torso of the Retaliation Jinx combined with the arms of the SDCC Zarana figure. The upper legs might be from the 25th Anniversary Scarlett and the boots, well, those are a mystery right now. 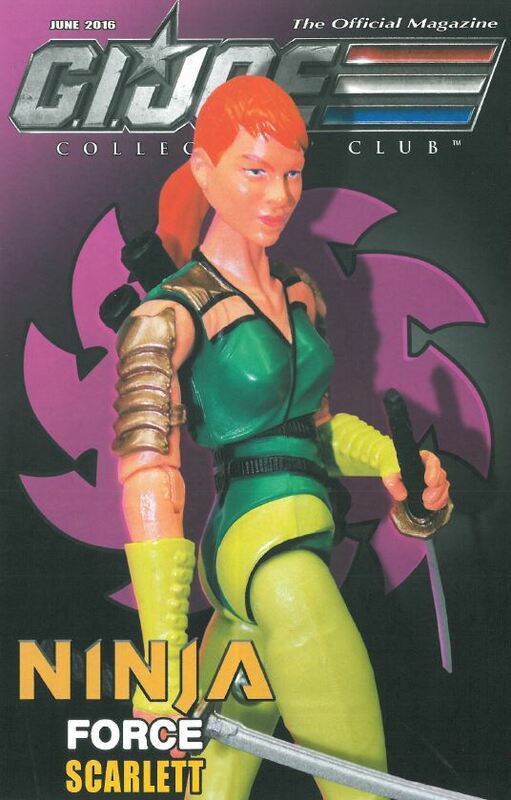 It looks to be a solid parts combination that does a pretty decent job of recreating the original 1993 Ninja Force Scarlett figure while still following the Club’s pattern of primarily reusing existing parts. There’s no need for a lot of verbiage here! 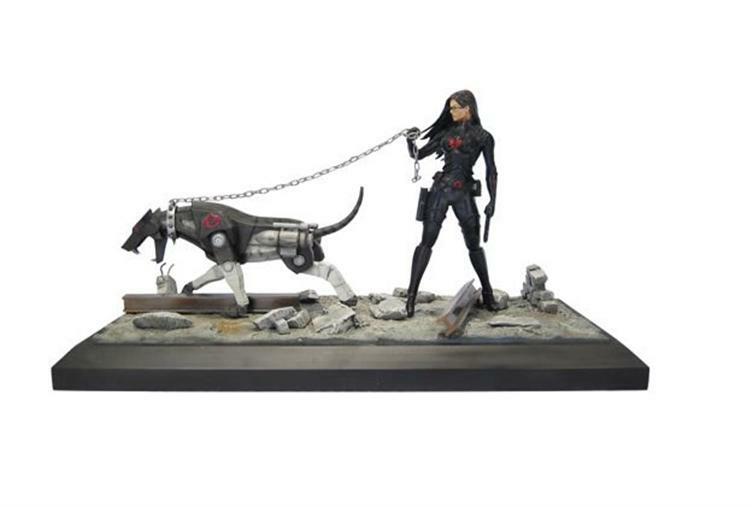 This year’s SDCC G.I. Joe vs. Transformers set is finally available! UPDATE: 10/16/2013 AS OF NOW THE SET APPEARS TO BE SOLD OUT! Now that the lawsuit between Hasbro & Harmony Gold has been settled it would seem that the flood gates have been opened for the 2013 SDCC G.I. 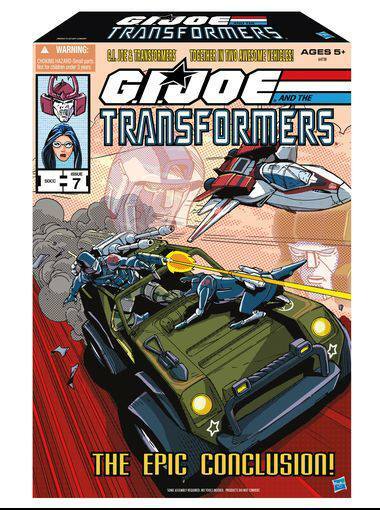 Joe vs. Transformers set featuring Jetfire, Hound, Blaster, Bludgeon, Baroness, Ravage, and more! (Okay, there’s that Snake Eyes repaint but who REALLY needs Snake Eyes v 10,203 anymore? It’s a solid set and the “epic conclusion” to the series that began three years ago with Cobra Commander & Starscream and then evolved to Destro & Shockwave in 2012.